Today we meet Josh, from Korea. Josh is 19 years old and he is studying on our 20 Hours English Course. Hello Josh. How long have you been studying at Select English? Have you been back home since you arrived? Do you miss home? I haven’t been back home, I do miss it sometimes. But I celebrated our New Year by going to 7 Days restaurant with my friends. I actually lived in Canada before; I was at school there. My favourite subject at school was Sociology. 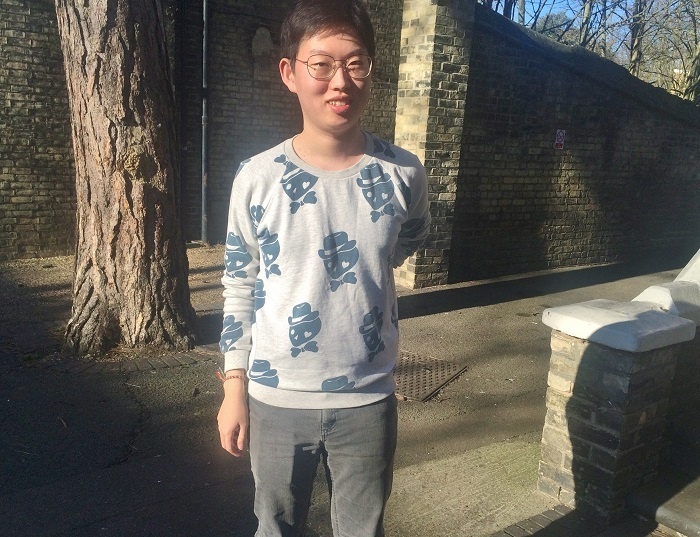 I want to study Sociology at university in the UK – I’d like to go to LSE (London School of Economics). I want to be a journalist when I’m older. Yes. My English has improved and I have made friends from many different countries. And what do you like about Cambridge? Have you visited anywhere else in the UK? Yes, at Christmas I visited Scotland – I arranged a trip to Edinburgh, Glasgow and the Highlands.